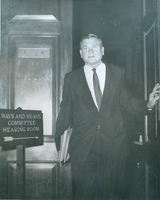 Photograph of Rostenkowski at Ways and Means meeting. 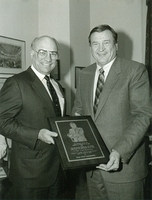 Photograph of Rostenkowski and Senator Packwood. 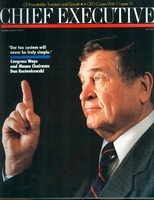 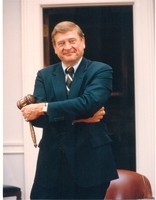 Portrait of Dan Rostenkowski holding his Chairman gavel.